My name is Ashley and I'm The School Supply Addict. Maybe you've heard of it? Or seen these dots flying around somewhere? I'm not REALLY an addict. I don't think. Is denial a sign? One of my best friends (and roommate) in college called me a 'school supply addict' after she discovered that I had amassed a closet full of crayons, paper, pencils, cardstock, stickers, glue, etc. all in anticipation of having my first classroom. My excuse was that I kept running into really good sales and needed to stock up. This was a year before I graduated. Although I still have strong urges to purchase mass quantities of 20 cent crayons and half-price packs of 3000 popsicle sticks, my addiction has morphed a bit.... to online resources. I have experience in Pre-K, Kindergarten, assessment, technology, and currently teach three different levels of EFL (6-7 year olds, 7-10 year olds, and teenagers). I'm a dog person. If I didn't teach, then I'd live on a farm and open a dog shelter... and a frozen yogurt shop... with a wine bar inside... and a coffee shop next door. I would also consider hanging posters of Ryan Gosling and Jude Law everywhere. Like a 14 year old girl. I started my little blogging adventure a little over a year ago and it has been nothing short of amazing. I've connected with so many amazing teachers and learned over a bazillion things that I can use with my students. It's truly helped me become a more effective and efficient teacher. My blog/website is probably a little different than most you've come across. Before I began, I had this ginormous list of links to ideas I had found online. It was an organized Excel file, but wasn't that useful. I'm a very visual person and had the idea of combining a blog with static pages and pictures. Pictures of everything. Literally. In addition to my blog, there are over 100 pages on my site organized by content or areas that pertain to teaching. My goal? Connect teachers with great resources... lots of them. You'll find my products and ideas alongside countless others from amazing teachers, many of whom write for Blog Hoppin'! The one thing I always try to do is add some sort of visual for you to SEE what it is. Plus I add short descriptions, what level it's for, where it's from, whether it's free, a paid item, or idea, and the links to access it. I try to make it as simple as possible and I add lots of new things every week! How about starting at one of the pages below? It's that time of year again! I hope you enjoy and that it makes your life a little bit easier! I'd love to have you join me on Facebook as well! I do a lot of random giveaways and interact a lot with fans. He's all yours! I just feel so honored (and fancy like this frog) being able to work with some great ladies! 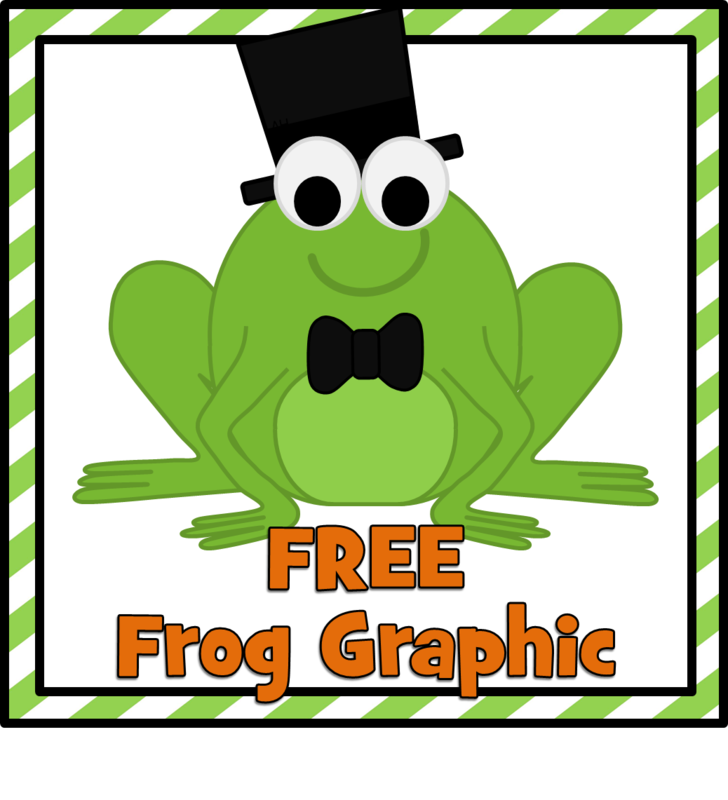 Hopefully you have a use for a frog... in a top hat and bow tie. Maybe? Ok! Happy Wednesday everyone! See you soon! Your website is the best! I love all those fall activities! Just makes me want to go to a Harvest Festival, apple picking, and make a scarecrow. Thanks for sharing the frog with us. He is just the cutest thing! Love the top hat and bow tie! I am in early signs of being an addict. I started collecting teacher resources 3 years before I graduated college. How can you pass up those steals? Living in Switzerland must be quite the adventure. It looks beautiful there! Looking forward to your next post! See you soon! Ashley you are so fabulous! You have helped me with so many things as a new blogger! THANK YOU! LOVE this site! 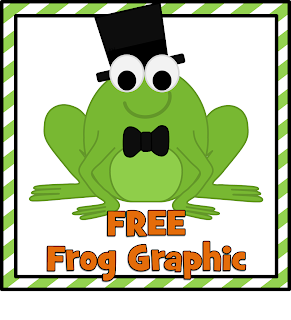 I recently just started my own :) The frog is wonderful! Love you Ashley! So happy to have you on board. Where have you been all my life?? You ROCK! I am on idea overload for Fall! THANK YOU!